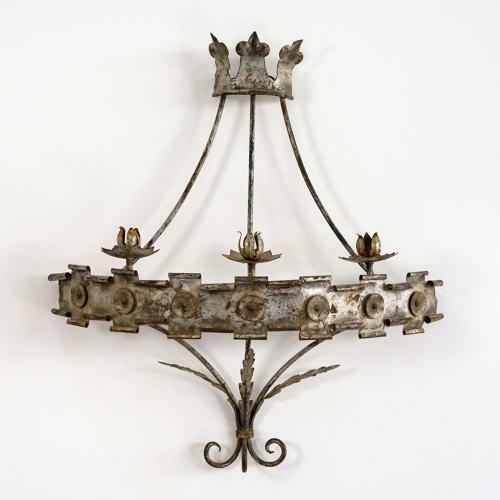 An impressive antique three branch corona wall sconce with wonderful aged metal patina. Atmospheric wall light with wax candles, or could be re-wired with three electric candle lamps. Spanish circa 1900.